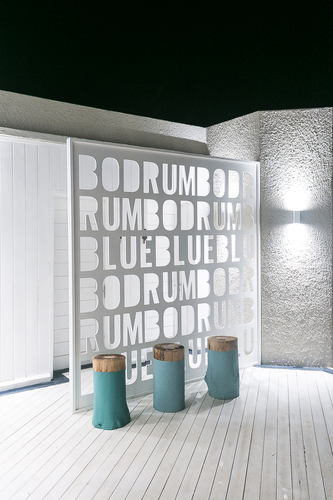 Night or Day Dreaming at Bodrum Blue – Got the Passports? 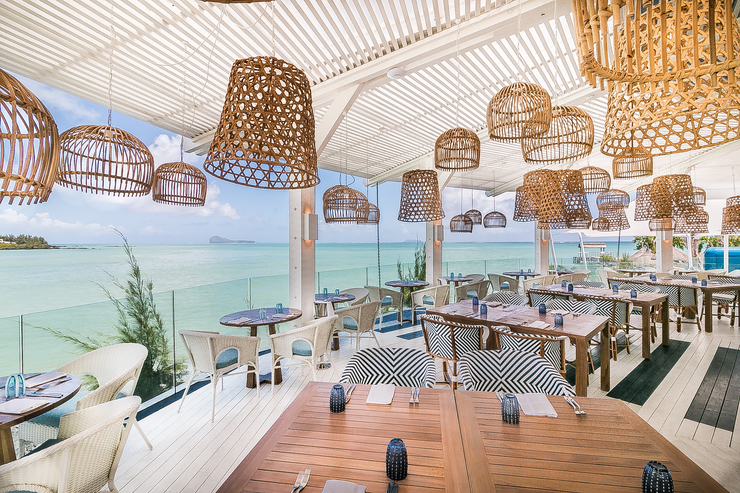 Bodrum Blue is an exquisite restaurant located in the LUX Grand Gaube hotel in Mauritius. 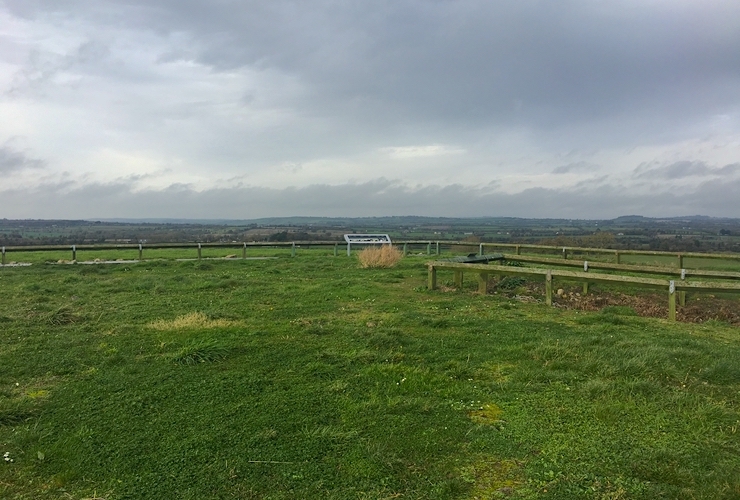 We were spoilt, exactly a year ago, when we were invited to visit the newly refurbished hotel. One our second last night we enjoyed dinner under the swaying baskenette shades above the beautiful blue ocean. 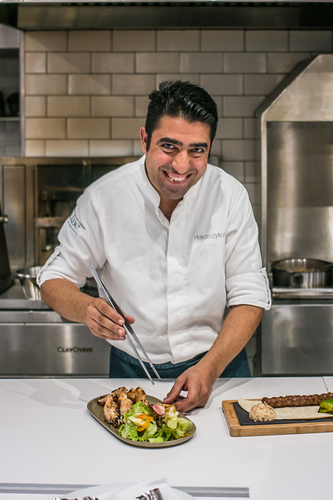 The head chef, chef Hakan, is Turkish himself and you could taste the difference in the flavours of the cuisine. These were the best Mediterranean tapas I’ve ever eaten (and, interestingly, Turkish visitors to the hotel have agreed on Trip Advisor!). While chef may not speak perfect English, he certainly knows how to leave his guests feeling welcome and satisfied. 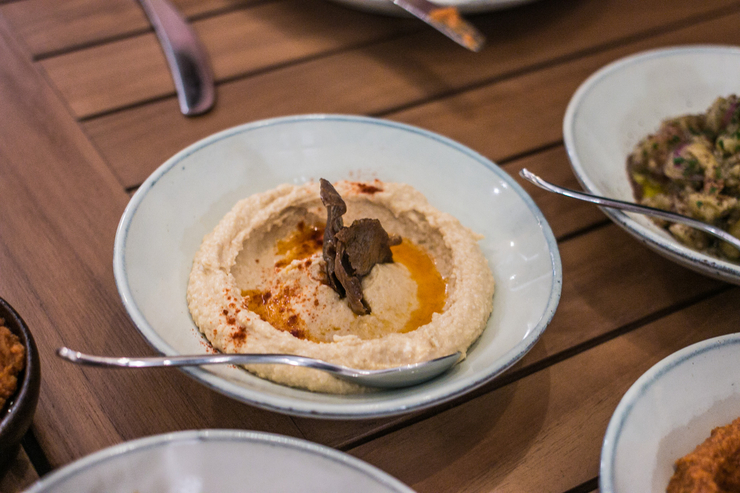 Our starters included hummus, roasted aubergine, chopped salad with pine nuts and a traditional (no iceberg lettuce) Greek salad. While an international cuisine, the attention to detail was much appreciated. 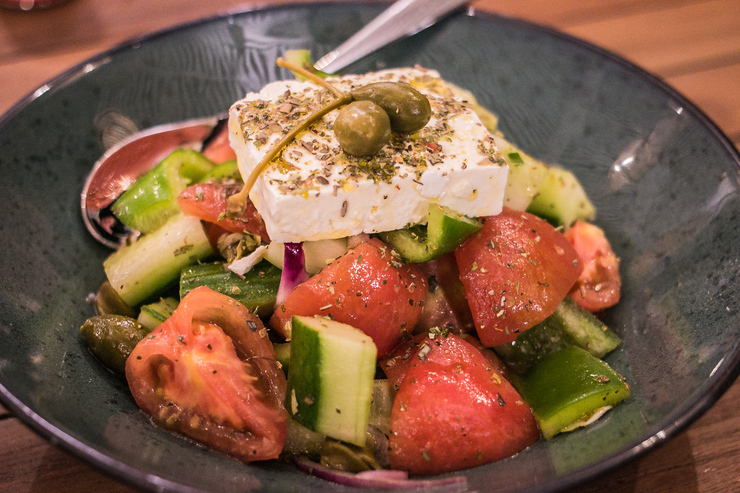 For example, tomatoes being peeled in the Greek salad, almonds toasted on the beetroot and touch of cumin on the hummus, did not go amiss. 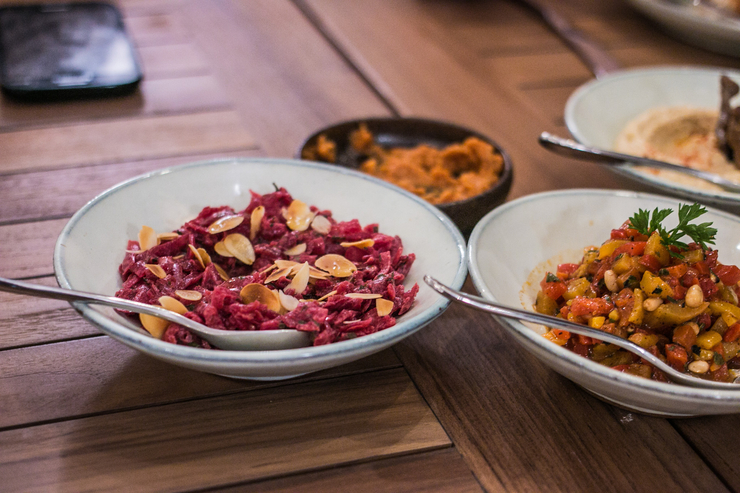 These small plates were so delicious, I could have eaten them all and forgone the mains. 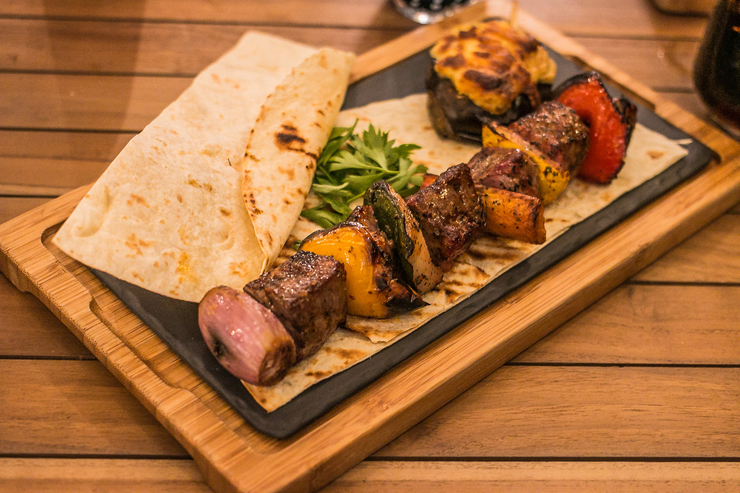 Kebabs are the order of the day at Bodrum Blue. Both chicken and lamb are available, coupled with roasted veg. Mine was slightly underdone, but all the flavours were there that one would require from a delicious kebab. 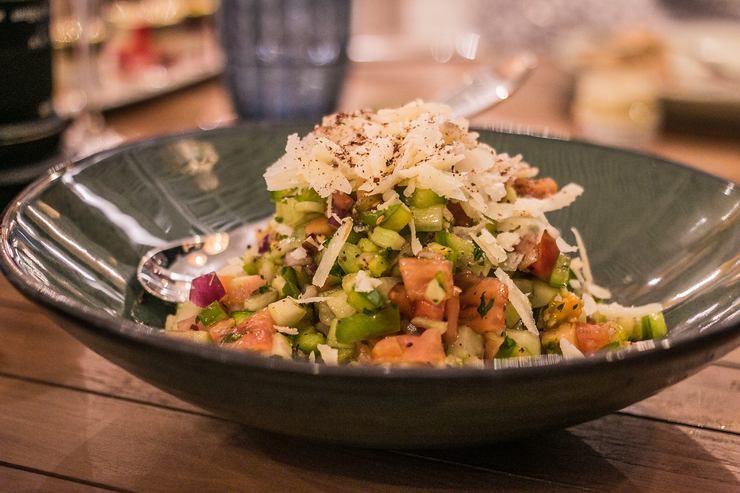 Again, this is a simple and delicious dish for the warm environment and pairs beautifully well with a glass of chilled red wine. 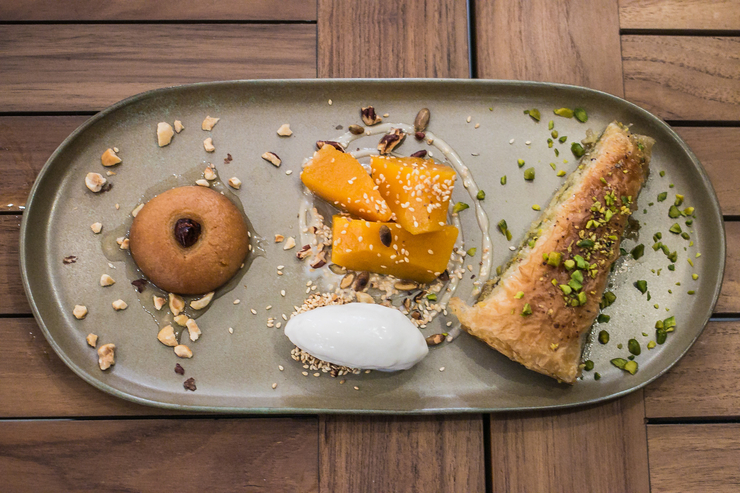 While the rest of the table had decided to move on to catch the live band in the Palm Court, I couldn’t resist tucking into some traditional middle eastern desserts. 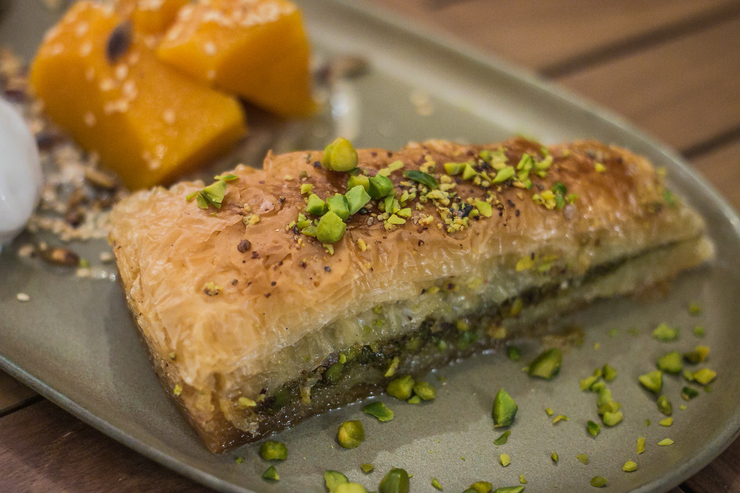 This dessert platter included the most delicious baklava (ooooh! Is THAT what it’s meant to taste like?! I get it now 😉 ), a traditional spiced cake and butternut with sesame seeds and ice cream. All the desserts were delicious albeit a different experience from the typically very sweet French pastries we so often devour. 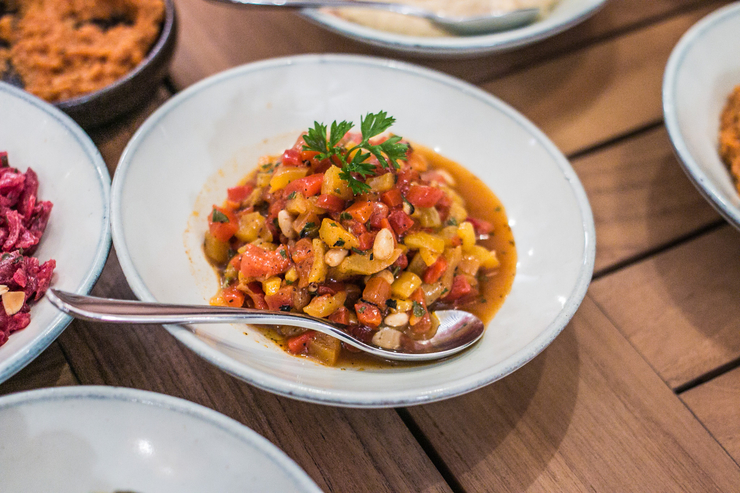 From the days of eating kebabs from the corner cafes and street markets in London, it was certainly an enjoyable experience having the cleaner, more grown up versions at Bodrum Blue. If you enjoy Turkish food, I recommend sharing a kebab, but really tucking into the tapas. They were the star of the show for me. Afiyet Olsun! 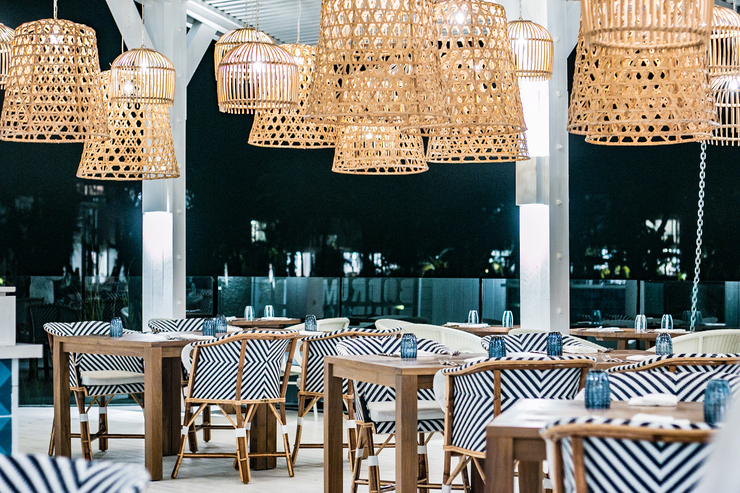 Find Bodrum Blue open for lunch daily from 12:30pm to 3pm and from 7pm to 10:30pm in the evenings. If I recall correctly, there may be a surcharge for visitors at the hotel. 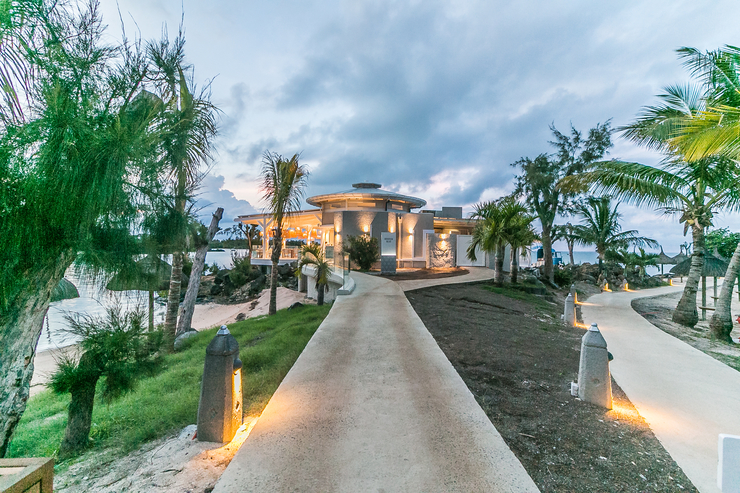 Pingback: Dream Holidays at the LUX Grand Gaube, Mauritius – Got the Passports?